Background: Since the early pioneers like Le Corbusier in collaboration with the Philips Corporation designed Poème électronique in 1958, practitioners including designers and artists have embraced interaction and interactive technologies as means for expressing their intuitive concepts. Consequently, designing the experience for interactive art products and installations has gained attraction worldwide over the last decades. Any innovative design is strongly influenced by the intent of the practitioner. Therefore, it is of utmost importance to understand how those practitioners’ intent can be made explicit through their designed artifacts. Y. Zhang, Drama, Story, Production, Interaction: A Design Approach towards Interactive Installations, PhD Thesis, Department of Industrial Design, Eindhoven University of Technology, Eindhoven, 2017. 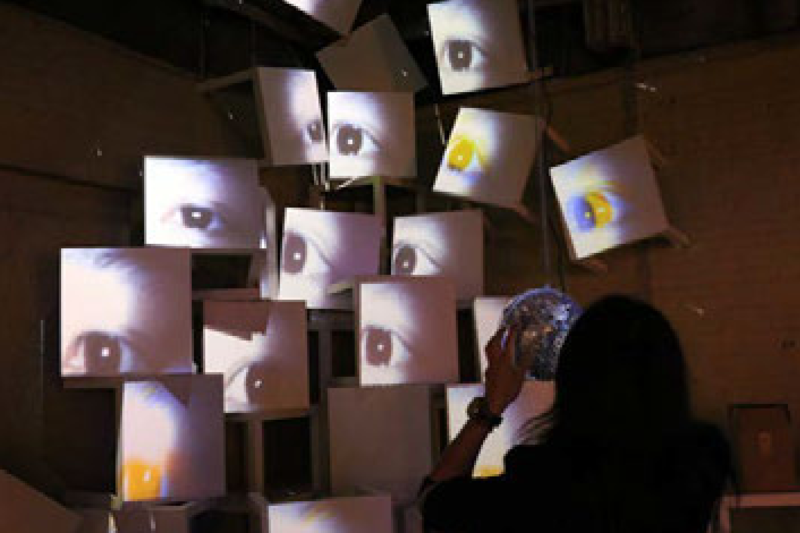 Objective: The main research question of this thesis is: how can practitioners design experience for interactive installations such that it relates their intent to their audience? Approach: The long history of theatre and performance art has much to offer to the field of interaction design as Brenda Laurel noted as far back as 1992. Based on related literature and art/design practices, the analysis of and comparison between experience in performance and experience in interactive installations show that three relevant forms of negotiation exist: (1) how can the intent reach the audience; (2) how to bring the desired experience closer to the actual experience; and (3) how can interactivity play a role in installation-audience relationship. To investigate the design relevant aspects of these three negotiations a new perspective on performance theory with the framework Drama, Story, Production, Interaction (DSPI) is taken. The DSPI framework is explored and developed through three practice-based design-research cycles. Cycle 1 allowed investigating how DSPI emerges its pattern in design practice. Cycle 2 concentrates on the effects when the DSPI framework is used as a linear process to guide the design practices. Cycle 3 describes the design challenge of a large-scale interactive installation project and the empirical evaluation with the audience. Each of the three cycles investigates how three relevant forms of negotiation can benefit from applying DSPI in a practical design process. Methods: The three relevant forms of negotiation are addressed for their potential in influencing the degree to which the experience designed by the practitioners can reach the audience. The research questions are investigated through workshops with design students and practices of my own following different design processes. The designed artifacts as well as the quality of the design processes are empirically evaluated. Results: The meaning and function of DSPI became clear and concrete from cycle to cycle. The component Drama can help to explicate the intent in the design process. Drama has four elements to be considered: theme, emotion, metaphor, and conflict. The component Story is more than just a description of the desired experience from the practitioner’s Drama; “storying” is also the activity of developing the desired experience during the process. On the stage of the component Production, physical form and interactivity as the influential aspects are designed based on each other. The quality and completion of the Production is crucial to get the actual experience closer to the desired one. 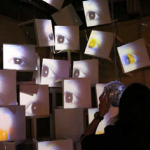 The component Interaction is the process of how the audience is encountering an interactive installation. The iterative approach to evaluate the Interaction enables the practitioners to see and adapt to unforeseen effects on the audience. Conclusions: Showing through practices and empirical evaluations, this thesis provides evidence that DSPI helps practitioners go through three forms of negotiation in the process and achieve the design of a desired experience. The main contribution is to demonstrate how the experience in an interactive installation can be designed to reach the audience as intended. Therefore, the practitioners can utilize DSPI to advance their own design practice.